1 - pair/s $5.95 ea. 4 - pair/s $4.95 ea. 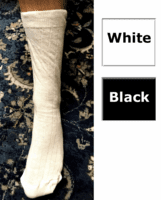 82% Mens Cotton Crew socks in a medium weight sock that is quality made in the USA. We've tested many different socks in a medium weight crew style and these socks offer soft natural fibers that is great for casual or work socks. 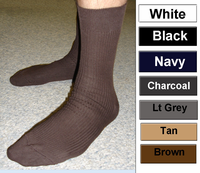 These socks have a smooth thin toe seam that never irritates or bunches and is durable wash after wash. 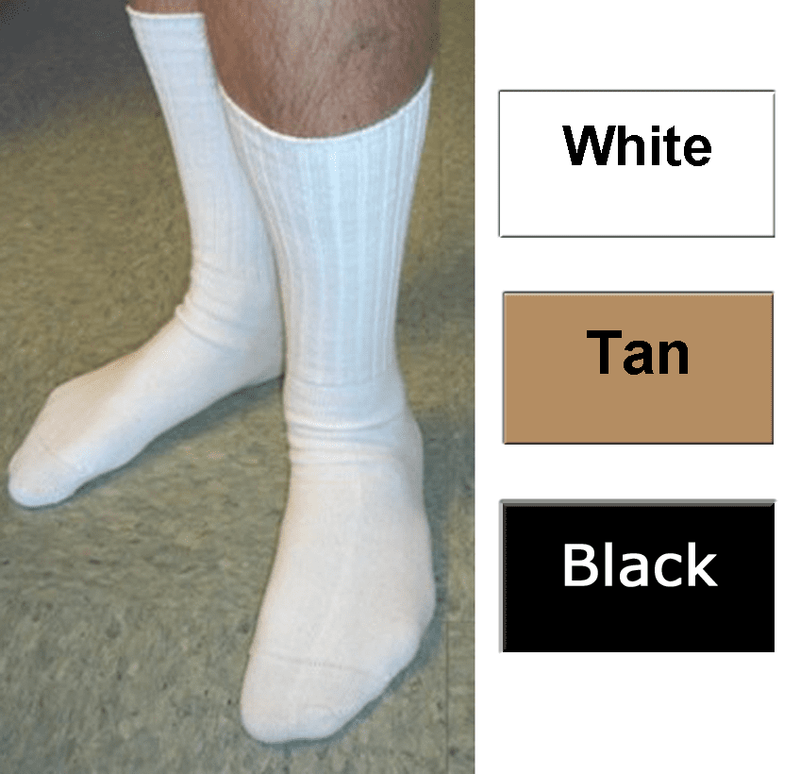 These socks are exceptionally soft, comfortable, and absorbent (82% cotton). The small nylon content (16%) gives longer wear and the 2% Lycra adds superior stretch for better casual fit. One Size comfortably fits shoe sizes 8 1/2 to 12.